Is your company considering doing business with the largest retailers on Earth? Becoming a supplier for Amazon and other big-box retailers such as Overstock.com and Walmart can hold enormous benefits for manufacturers in terms of increased sales and a larger exposure base, but this move can also spell disaster for unprepared companies. Typically, the biggest problem that new big-box suppliers face is chargeback fees. The likelihood of not meeting compliance requirements is so high that many retailers advise their new suppliers to set aside a large amount of money, such as $50,000, just to cover chargeback fees. Not only can your mistakes lose you money, they can also damage your reputation. Every time you incur a fee, your retail trading partner marks that on a scorecard. Too many problems can endanger your shelf placement positions, impact your promotional access, and even lose you a contract. The good news is that with some extra preparation, you can avoid making these costly mistakes. When you add big-box retailers to your list of trading partners the correct way, your company can experience growth that you’ve only dreamed of. When small businesses start, true leaders have dreams of becoming household names like Mark Zuckerberg or Jeff Bezos, and they definitely want everyone to know and love their product. The trouble with these dreams, however, is that sometimes you have to turn them into reality by taking an enormous leap. If your company leaps into a retail relationship with a big-box like Amazon without a clear EDI plan, it’s likely that instead of raking in profits, you’ll pay crippling chargeback fees. Massive retailers have the power to process orders quickly and efficiently for a large number of customers, but in order to meet their deadlines, they enforce extremely strict electronic data interchange (EDI) requirements on their trading partners. If you don’t meet their compliance regulations, you can be charged per offense. In the huge order sizes that big-box retailers command, even a small per-box fee can balloon until it’s out of control. With larger volumes, smaller margins, and standard NET 90 payment terms, how much in chargeback costs can your company absorb? Clearly, the easiest path to success lies in avoiding those chargeback fees to begin with. True business leaders know that their teams are an intrinsic part of their ongoing success. If you don’t want to allocate tens of thousands toward error correction, you need to empower the people on your team to help you focus on the details. The best way to do that is to provide them with an effective EDI system. • Up-to-Date Mapping: Each retailer requires a specific form, or “map” with a very specific format. 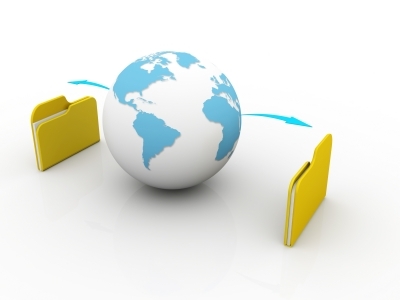 Though many of your trading partners will require the same information from you, their systems are set up to read that information in a different order — which means that, depending on who you’re trading with, you might have to provide slightly different information in a slightly different order for every single retailer you work with. Every time you miss a field or do things out of order, you face yet another chargeback fee. • ERP Integration: EDI software works best when it’s integrated with your ERP system. This allows your order and customer information to seamlessly flow into your EDI maps, and also into your ERP-connected shipping partner forms. This will reduce and sometimes even eliminate expensive and error-prone duplicate data entry. • Validation Checking: Have you gathered that big-box EDI is all about dotting your “i”s and crossing your “t”s? With built-in validation software, your EDI system will check those details for you and point out errors so that you can fix them immediately. You’ll never have to worry about the costs that arise from forgetting to fill in a single form field again. If your systems are up to date with the latest retailer requirements, you’ll know that you’re providing your trading partners with the information they demand. • Simple Automation: Because EDI coordination requires a lot of detail-oriented work, it can be easy to get caught up in what you’re working on and lose track of your deadlines. With automated features, your software will complete orders for you. This means you can lower your labor costs and still get work done on time. • A Helping Hand: Retailers change their EDI compliance requirements frequently. You have to constantly stay on top of updates — or suffer the consequences. Though some businesses prefer to build their own EDI documents, it doesn’t hurt to consult with an EDI expert when you need one. This is something that’s often overlooked by companies who choose to leap into supplier relationships with big-box retailers, but smart leaders know it’s a bad idea to do everything alone. • Easy to Learn Software: If you’ve already started working with big-box retailers like Amazon, you’ve probably already experienced some steep chargeback fines. This means that you already have less money, less time, and more stress – and that your employees will have to learn a new EDI system while meeting higher production volumes. Reduce the stress and get up to speed fast when you choose a system that not only provides effective workflows, but that already looks like the ERP system your company is currently using. With MAPADOC, you can start or continue your big-box retailer relationship the right way. Not only is MAPADOC a market-leading, multi-national EDI solution with over 20 years in the Sage marketplace and 700+ implementations, it’s embedded right into your Sage ERP system so that your team can easily flow information from your ERP to your EDI – all while using the helpful workflows to learn at record speeds. MAPADOC leads in EDI documentation, providing the largest number of documents in a single system. Plus, we listen and respond to your needs, consistently adding the new documents that you need. With MAPADOC’s built-in validation features and powerful automation, your company can increase production volume while maintaining the focus and dedication you’re known for. Lastly, MAPADOC’s service is known as “the best in the business,” providing your company with a dedicated EDI expert consultant who knows your team and your specific needs, and is there to help you when you need it. With our 99.6% client retention rate, you can trust that we’ll exceed your expectations too. Take that leap to bring your company to the next level and become the leader you know you are — with the sales you’ve always dreamed of. Lead Your Supply Company to Retail Success Today!